Believe it or not, cockroaches have been around for 400 million years and there are countless species of them around the world. They hide through the day and come out at night. One very common sign of cockroach infestation is their excrement which looks like black pepper grains or brown egg shells, depending on the species. 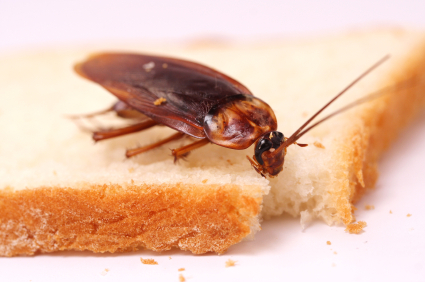 If you find any cockroach excrement lying around, chances are that there is an infestation in your home. So, maybe it’s time to call in some cockroach control in Perth professionals. What Drives Cockroaches To Infest? How Does Cockroach Allergy Occur? Many people develop cockroach allergy due to their sensitivity to the cockroach allergen that results from the roaches’ saliva, eggs, secretions, excrements and dead bodies etc. When these matters decay, they give birth to an allergen which causes the allergy. Household chores like dusting, vacuuming etc can make the allergens airborne and the protein in the allergen can cause an immune reaction in people. How Cockroach Control In Perth Professionals Help Fight The Allergy? Such professionals easily detect roaches and then begin the treatment. They seal all cracks and crevices that could be possible escape points for cockroaches. They apply an insecticide that is especially formulated for cockroach extermination in a child-friendly, pet-friendly and environment-friendly manner. They also advise you on keeping your premises clean and adhere to proper garbage disposal methods. If you follow their recommended course of action, cockroaches will stay away from your premises.